Provides a complete guide to the legislaiton and powers relevant to PCSOs, giving you the only book you'll need! 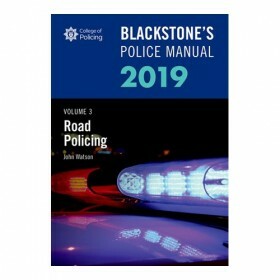 Blackstone's Policing for the PCSO is the third edition of the bestselling Blackstone's PCSO Handbook, representing the changing needs of this unique group within the police service. Providing up-to-date and comprehensive coverage of the role and functions of Police Community Support Officers (PCSOs), this revised format offers a more effective and practical resource covering all the elements of PCSO training nationally. 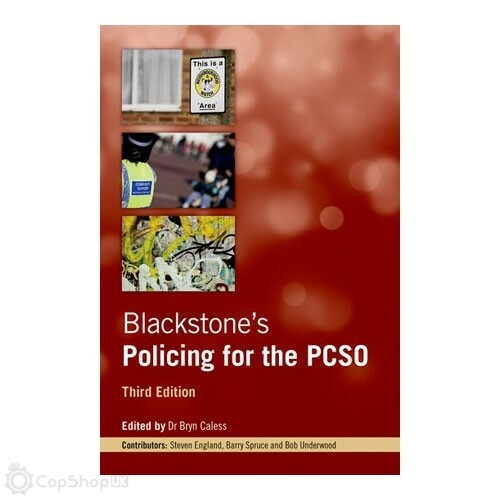 With clear explanations of powers and procedures, the third edition has been updated to reflect the evolution of the PCSO's role within the police family since its inception over 10 years ago. It includes all the information that you will need in your PCSO career: from application, interview, and admission checks, through to joining a police force, embarking on training, and working in the field with Community Policing Teams. 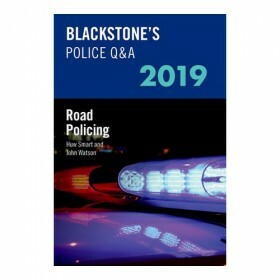 Featuring updated key National Occupational Standards for PCSOs, it also contains all the required learning outcomes for the wider police learning and development programme and covers areas from crime scenes and gathering evidence, to decision making and community engagement. Throughout, case scenarios, flow charts, and checklists illustrate and clarify key areas of procedure, and knowledge check sections help you improve your understanding and monitor your progress. 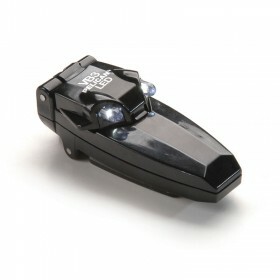 Additionally, reference and definition boxes provide handy and accessible refreshers about the law and powers available to PCSOs. Written by highly-experienced practitioners alongside recently-appointed Police Community Support Officers, this is the only book a PCSO will need, wherever you are deployed, as well as being an invaluable aid to PCSO trainers and police tutors alike.